It's a fairy tale ending drawn straight from a Muppet movie. "It's been downright agonizing watching the process of trying to sell this company...It just became more and more painful to watch it going on and on, and two weeks ago we decided enough is enough." The five adult children of Muppets creator Jim Henson have struck a deal to regain control of their father's creative legacy by buying back the Jim Henson Co. from its German owner, EM.TV & Merchandising, in a transaction valued at $89 million. The price tag, which comprises $78 million in cash and $11 million in liquid assets, is a fraction of the $680 million in cash and stock that EM.TV paid for Henson in February 2000. Led by Brian Henson, who stepped down as Henson Co. chairman last May, the Henson family moved with lightning speed to wrap up the deal during the past week. 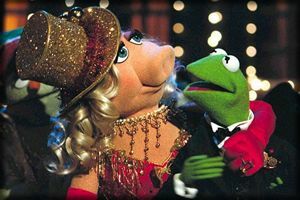 The Hensons swooped in under the radar of other bidders at the eleventh hour as EM.TV was moving to complete an agreement in principle to sell the company to New York-based Classic Media and Sesame Workshop, whose joint bid was to be bankrolled by the home video arm of Sony Pictures Entertainment in exchange for video rights to Henson productions. The Henson Co. had been on the auction block for more than two years after EM.TV's once high-flying stock collapsed and the company began to face a serious financial crisis in late 2000. The Henson children -- Brian, Cheryl, Heather, John and Lisa -- were spurred to take action when they realized that Kermit the Frog and other of their late father's creations were poised to be acquired by a small rights-holding company rather than a deep-pocketed major like the Walt Disney Co., which had been negotiating for Henson on and off with EM.TV but pulled out of the bidding process for good about two weeks ago, sources said. "It's been downright agonizing watching the process of trying to sell this company," Brian Henson said. "It just became more and more painful to watch it going on and on, and two weeks ago we decided enough is enough." Brian Henson and Lisa Henson, president of Jim Henson Pictures, will be actively involved in the management of the company, though Brian Henson said the family has not had the time to formulate long-term strategic plans for the firm. 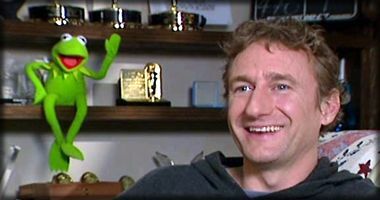 Brian Henson denied speculation that the family's buyout was a short-term proposition. There are no plans to orchestrate another sale to a major media concern in the near future, he said. Instead, the Henson Co. would seek "strategic" partnerships in film and TV production with other companies, much as it functioned in the 1990s before the EM.TV sale. "Right now the Henson family is enthusiastic about owning the company and operating the company on a go-forward basis," Brian Henson said. "This is a group of five very strong-willed individuals who are very deeply, emotionally and logistically tapped into running this company." Three years ago, when the family opted to sell the company founded by their father in 1958, Brian Henson said the family felt the company was at a crossroads in a fast-changing media landscape. At the time, Henson owned minority stakes in several cable channels, including the former Odyssey Channel (now Hallmark Channel) and Noggin, but was still too small to compete with the larger media players. EM.TV wooed the Henson clan with promises of investing millions of dollars in marketing the Muppets and other Henson characters around the world, particularly in Europe, where EM.TV had clout in the TV marketplace, Brian Henson said. The Henson children profited enormously from the 2000 sale, which was largely financed with EM.TV stock, and thus were easily able to summon the $78 million in cash it took to seal the buyback deal with EM.TV. When EM.TV hit hard times, the company began selling off many of Henson's assets, so the company the family is reacquiring is essentially a pure-play production company. Brian Henson said he was gratified by the success of Henson Co.'s most recent TV movie, "It's a Very Merry Muppet Christmas Movie," which racked up solid ratings for NBC in December. In fact, Brian Henson said he expected the company to be snapped up soon after the NBC picture proved that the Muppets still had appeal to kids and parents. 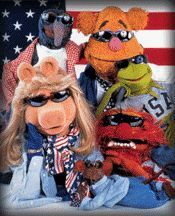 "That was cut-and-dried evidence that the Muppets were not just a nostalgic property but a very vibrant and viable part of America today," he said. "I thought the company would be sold in a week." Wednesday's agreement with the Henson family will enable EM.TV to pay off the remaining installment of a EUR250 million ($284 million) loan on which it has been granted multiple extensions from various creditors and will end the company's liquidity crisis. The agreement has to be approved by EM.TV shareholders and U.S. and international regulators, but EM.TV and the Hensons said they expect to sign a final deal in eight to 10 weeks. Although EM.TV is struggling to recover from the acquisition spree undertaken in 1999-2000 by company founders Thomas Haffa and Florian Haffa, who resigned in 2001 and were convicted last month in Germany of securities fraud, the company actually didn't fare too badly with its Henson purchase. EM.TV only put up about $100 million in cash to finance the acquisition, which it recouped through the various Henson asset sales, which were valued at more than $200 million.